Thanks! Sounds right up my alley. What did you think of Laura Stevenson and the Cans by the way? Last edited by Charlemagne; 01-24-2011 at 03:20 PM. I really liked the Laura Stevenson and the Cans album. I think you and I have a great musical compatibility. You listen to so much great stuff and the stuff I haven't heard about I end up loving. This album made no exception. It was great from start to finish. btw. That Hop Along album is pretty nice. Hope dankrsta likes it too. I love good pop and when it clicks just right it usually ends up being one of my very favorite things, like a certain Grandaddy album. Thanks Charlemagne. I think I have something for you. 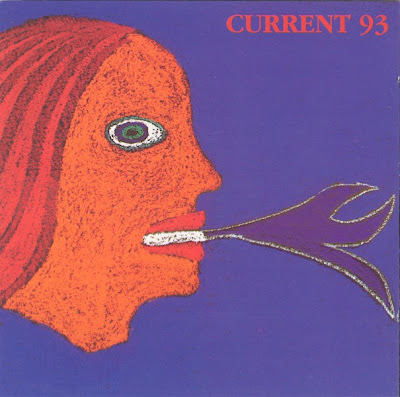 as i was looking for the perfect introduction to Current 93...i came across a review for this album which stated "this is the perfect introduction to the music of Current 93"
"out of the darkness cometh light"
Thanks! It makes me so happy when I can spread music I love and get other people to love it as much. You have a ton of great stuff here too, like with that Listener album you captured exactly what I love in music most, and that's emotion and this album is flooring me with how much passion he speaks with. Who kind of likes Beck but wishes he were a little less mad? I like his madness, he channels it pretty well, like in the lyrics on Modern Guilt. Hahahaha, Midnite Vultures is probably the height of his insanity, but I'm really looking for someone to recommend John Vanderslice to.